so... i accidentally ate some raw ham today. Mama Pawlish had bought some country ham, and while she was cutting it up, i grabbed a few pieces. i thought it was precooked and just needed to be warmed up... but i was completely incorrect! can't believe i did that... can't believe nobody said anything! gross. one coat Sterling Sculpture over FingerPaints Romanesque Rouge. 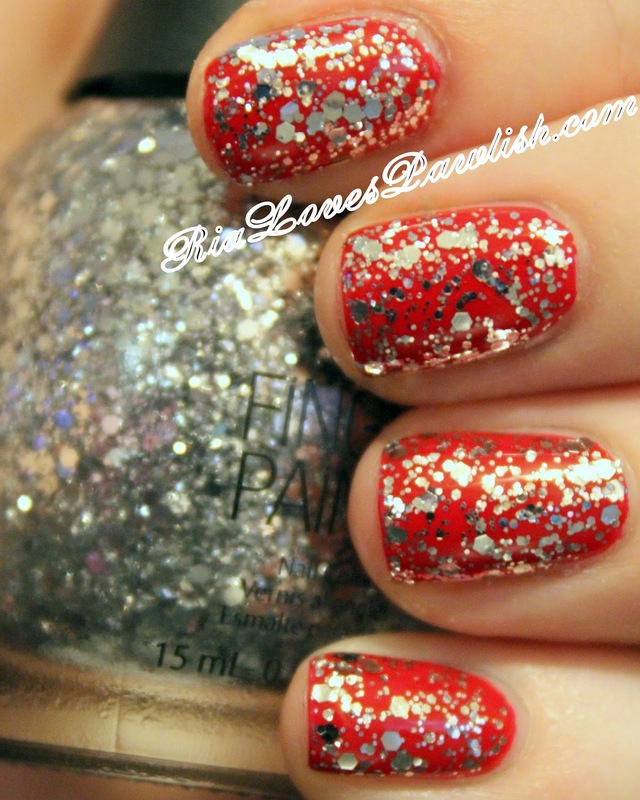 Tinsel & Tidings is the next polish up for review in the FingerPaints Tis the Season to Sparkle collection! (it's a press sample, kindly provided to me for review). this polish is a glitter with different sized hex pieces in gold, blue, and raspberry suspended in a clear base. it's one i would just use as a topper as it would be quite difficult to get opaque. it's absolutely lovely to bring even more dimension to your manicure! i put it over FingerPaints Golden Glaze which is a gold chrome, also from the Tis the Season to Sparkle collection! (press sample). as with all glitters, use a topcoat to bring out all those twinkling glitter pieces! one coat Tinsel & Tidings over FingerPaints Golden Glaze, finished off with Salon Perfect Crystal Clear Top Coat. today we're kicking off the FingerPaints Tis the Season to Sparkle collection with the polish Golden Glaze! (it's a press sample, kindly provided to me for review). Golden Glaze is a gold chrome which is ultra sparkly and party perfect. two coats give you full opacity and the formula is easy to work with. i love chromes which looks like you have metal for fingernails! i've decided i prefer chromes without topcoat as they seem to be more sparkly without it, and they are very susceptible to wrinkling from the topcoat... not sure why. 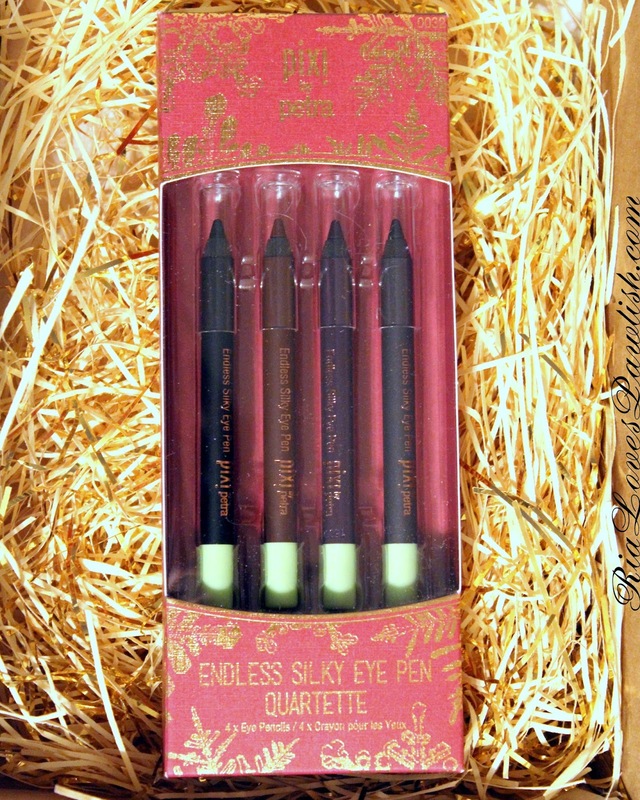 today i have the Pixi Endless Silky Eye Pen Quartette to share with you all... it's from their 2015 Holiday Collection! (it's a press sample, kindly provided to me for review). in the Quartette you'll receive four mini Eye Pens for $18. i actually already owned all but one of these... the others i had bought years ago, i'm such a fan of these bad boys! Pixi Endless Silky Eye Pens are ultra creamy and go onto the lid so easily. just make sure not to push too hard as they will smush down! 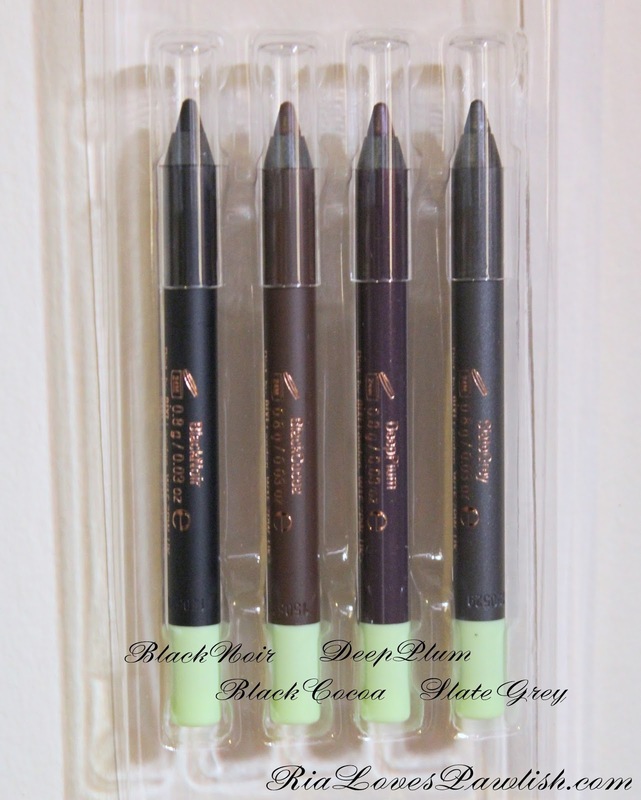 they are far softer than a lot of pencil eyeliners on the market, which makes them so much more friendly feeling on the lid. once they set, they don't budge on me, which is why i've been a fan for so long! i can't wear them on my waterline as they tend to get on my contacts before they have a chance to set, that is my only issue with them! as with any pencil eyeliner i've ever tried, there is no way to get that super sharp flick you get with wet liner... so they might not be for you if you are only looking for that super precise cat eye! i had all but SlateGrey, which is just as lovely as the others. i love that it and DeepPlum have a hint of metallic in their finish! 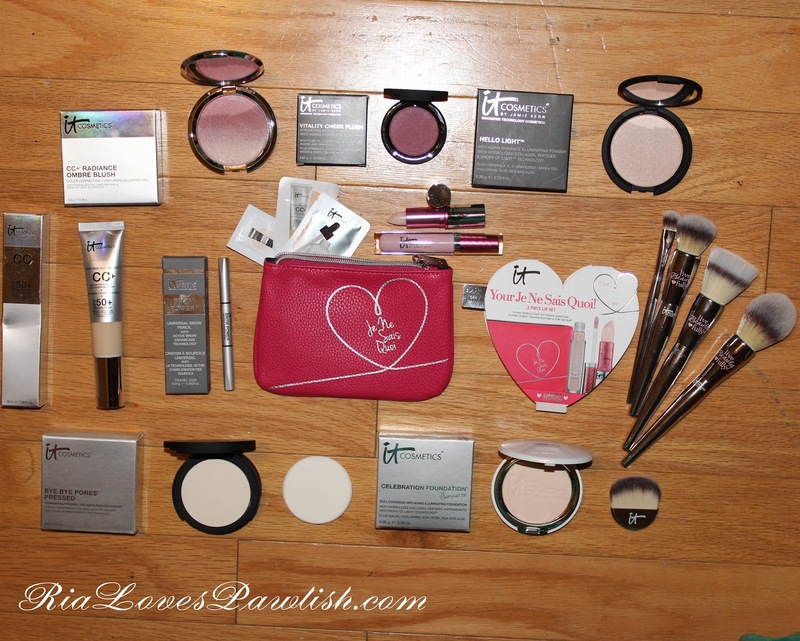 i also wanted to share what else is in Pixi's 2015 Holiday Collection! i have my eye on that Mattelustre Lipstick Quartette... think that's going to have to come home with me when i make it to Target! so excited to have SlateGrey now!! anything you'll be picking up from the collection? today i have a foundation to share with you all! 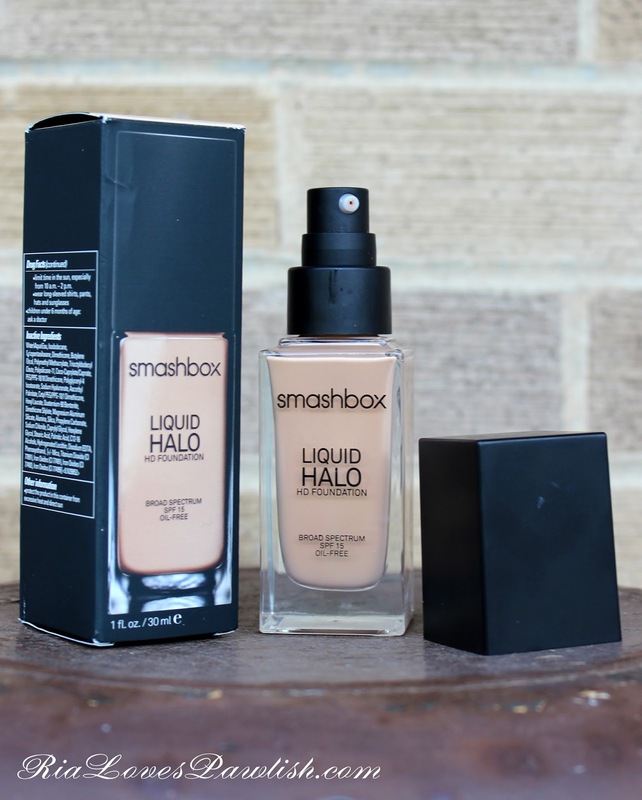 it's Smashbox Liquid Halo HD Foundation (a press sample, kindly provided to me for review). i love that it comes in a sleek bottle with a pump... i can't stand foundations that don't have a pump or are in a squeezy tube. i just hate dealing with tipping the bottle... i'm far too messy a human for that. it. gets. EVERYWHERE. 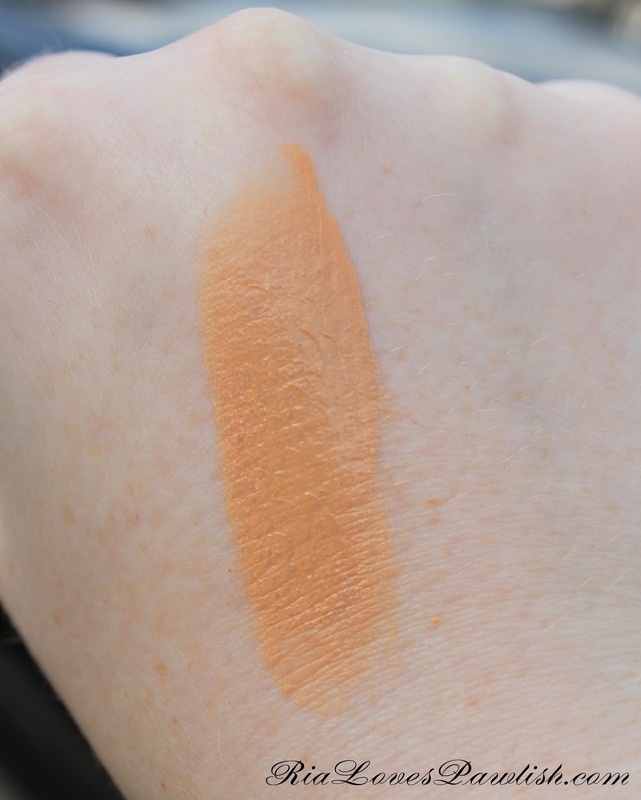 i was sent Shade 2 for review, which is pretty dark on me... if you are ultra fair/porcelain, i doubt you will find a color match in this line. i tried Shade 1 by getting a little Smashbox counter sample. it's lighter, but still not quite light enough! the major is issue is both shades pull extremely orange on me. here is Shade 2 on my hand... you can really see the orange undertone. it's not nearly so blatant blended, though! and finally, on my face! it looks a bit darker on me in person... the orange is a bit more obvious around my chin in the photo for some reason, but it's gives you an idea. if i use a light colored powder to set it and then do a lot of highlighter, i can make it work. so, in summation... i absolutely adore the formula and finish of this foundation, no complaints there! if i could get it in a color to match my skin i would absolutely be using it often... but since i can't, there are other products that i don't have to work with nearly as hard to make my face match my body that i will be grabbing for instead. make sure to check out Smashbox's website, www.Smashbox.com! this foundation retails for $42 and can be bought straight off the website along with free shipping and samples in the US. you can also find it at Smashbox counters and my favie, fave... Ulta! Echo and i had a lazy day today and just wandered the farm... it was really nice! got a pretty full week ahead... nothing much fun, though. 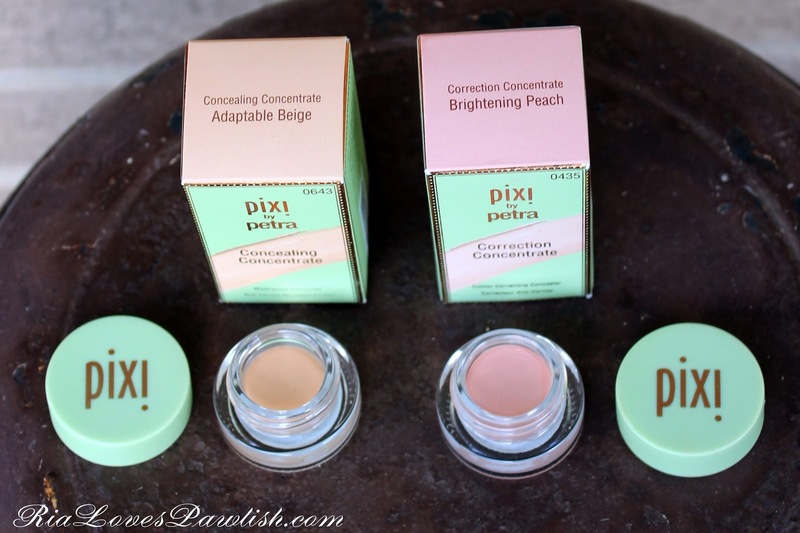 today i have another Pixi sample box to share! (it was kindly provided to me for review). i have been testing the products out, and am ready to share my thoughts! 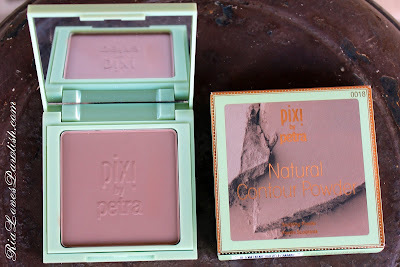 this box contained the Correction Concentrate in Brightening Peach and Adaptable Beige, it also had the Natural Contour Powder in Shape & Shadow. here's a peek in the box! let's tackle the Concealing Concentrate first! both shades retail for $12.00. i have been using the shade Brightening Peach for years, and was happy to try out Adaptable Beige. 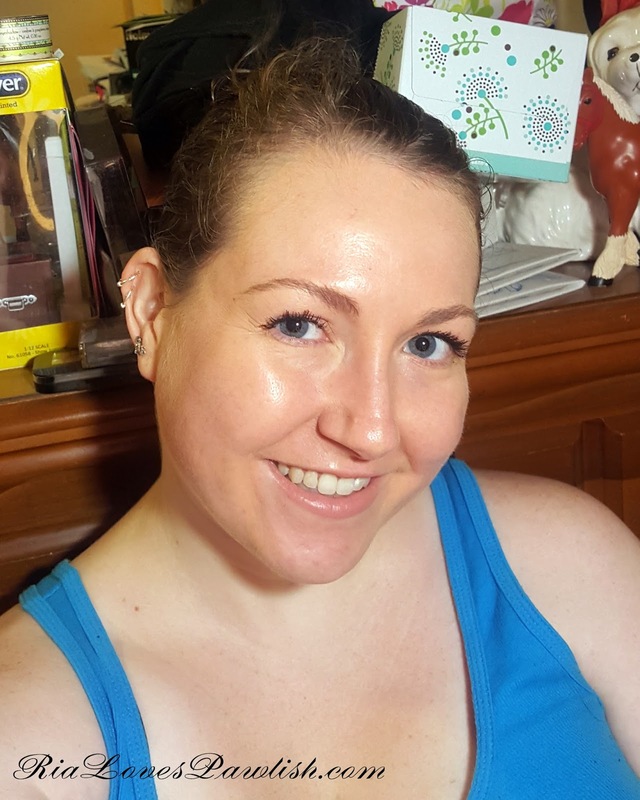 i have reviewed Brightening Peach several times in the past... but the formula has actually changed a bit! i can't believe it, but it's actually even better and creamier now. the color changed a bit, too... but i don't really notice a difference. this is still a product i use every time i put makeup on! the Brightening Peach works really well to conceal dark shadows under the eyes and broken capillaries. 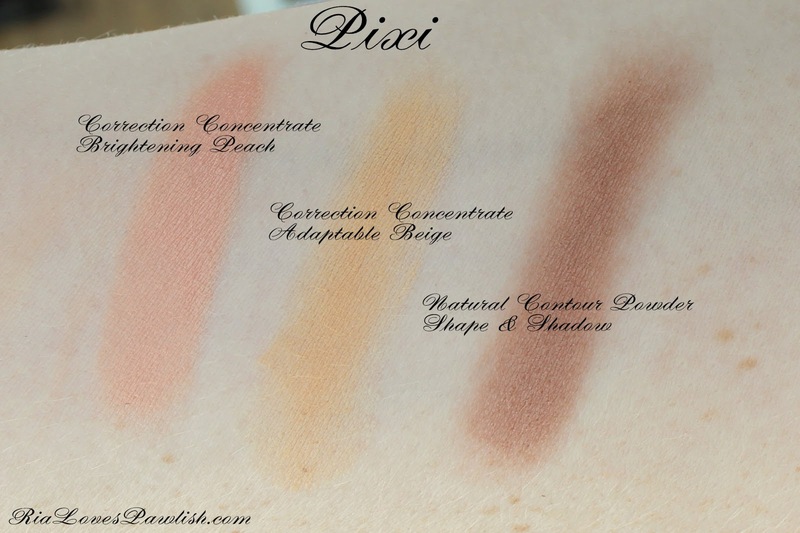 Adaptable Beige can be used just like a regular concealer, and is nice and creamy like its peachy friend! i find Adaptable Beige just a touch dark and orange for my ultra fair skin, i think it would work best on more light to medium skin that ultra porcelain! next we have the Natural Contour Powder in Shape & Shadow retailing for $10. this powder contour product has been raved about by several Youtubers... and i completely agree! 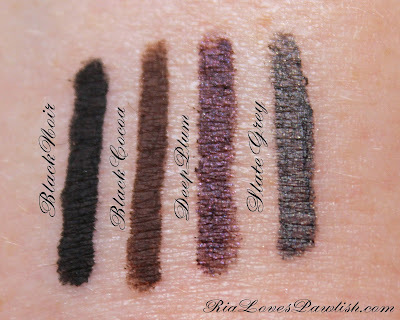 it's a great brown color with strong greY undertones... perfect for contour on many skintones. it's super creamy and blends SO easily... i have been having to force myself to use other contour shades as this one is just so awesome to work with!